There are some countries and places that you visit and you just know you have to go back to see more of it. 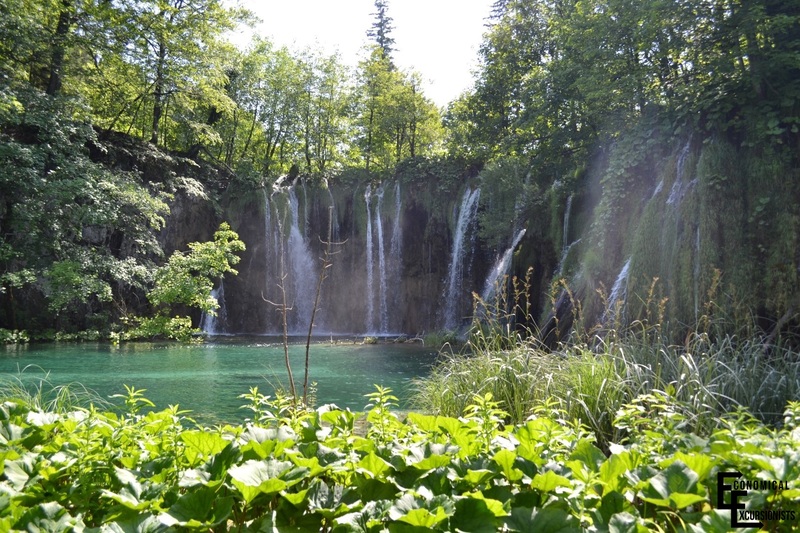 Croatia, while sorely overlooked by most travelers, is one of these places. 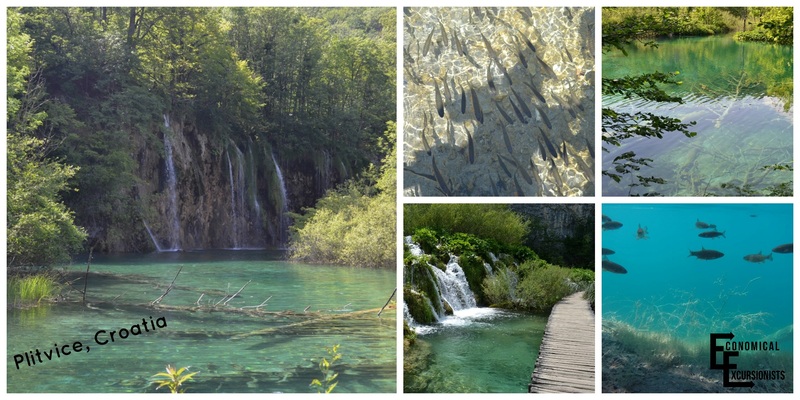 In fact, we have been to Croatia on two separate trips because it is just that beautiful, cheap and pleasant; one trip simply wasn’t enough. Instead of giving an itinerary, I have listed where all we went with suggestions of how long to stay in each place as well as some great things to see and do while there. Consider your transportation options and time you have total in deciding where all to go while visiting Croatia. 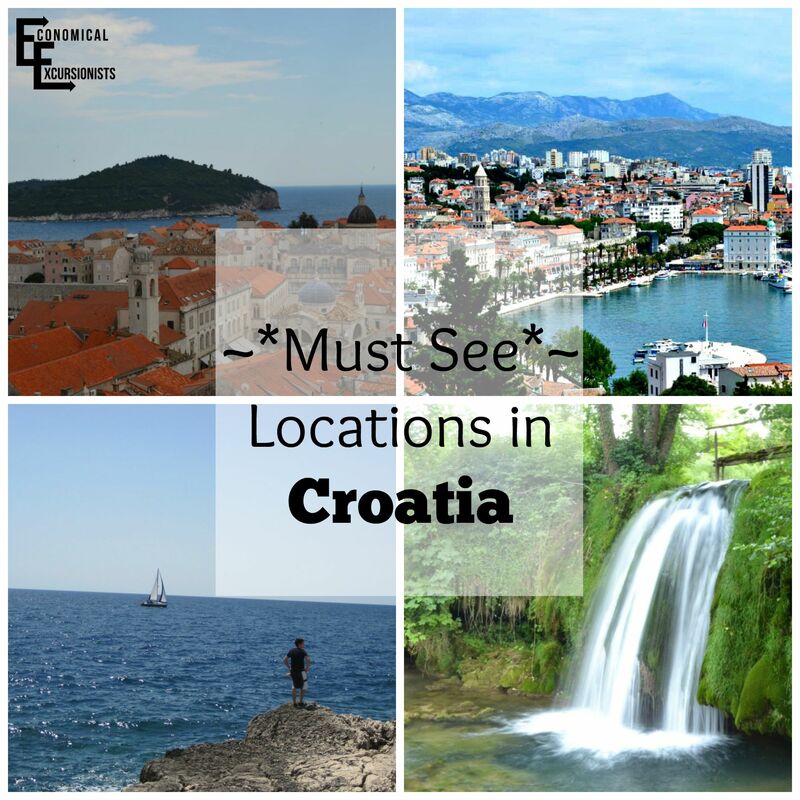 Also, don’t forget about my post of things to know before planning your trip to Croatia. We chose Medulin simply because as travel hackers, sometimes you just simply go to where the points will take you. We stayed at the Park Plaza Medulin and it was amazing! You can book all inclusive packages with them as well, which I highly recommend, as the hotel, rooms, pool, etc were fantastic. Just a two minute walk from our hotel was the beach. Great food, decent wine and beach were all I needed to stay several days with nothing more than relaxing with a good book, a mojito and the beach. If you aren’t as lazy (Uuuh, I mean, content) as I am with a few days of relaxing in a sun chair, there is still plenty to do near Medulin. 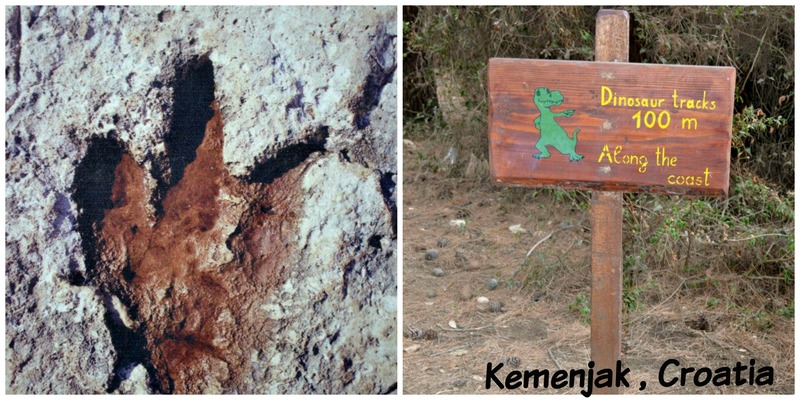 You absolutely can not miss the Kemenjak National Park. 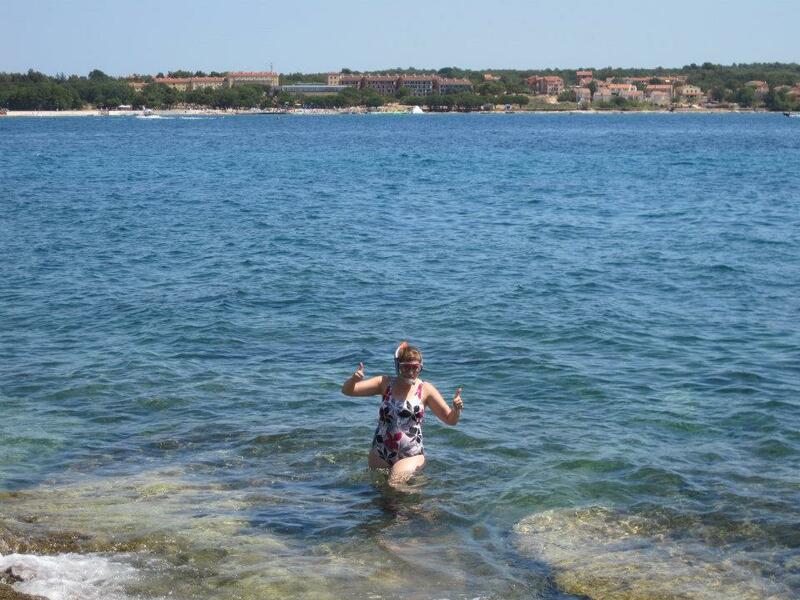 You’ll find some of the best beaches on the Istrian coast as well as (supposedly) ancient dino tracks! Spend the day snorkeling, walking to secluded beaches or even cliff dive off the edges. Just a simple google image search will be telling in why you should pay the small entrance fee to the park and enjoy the day on it’s many beaches. If staying in Medulin, you can also head into Pula for a day to see it’s Roman ruins, such as the Arena or Augustus Temple. Or, just spend an afternoon wandering the town and soaking up the laid back mediterranean culture. 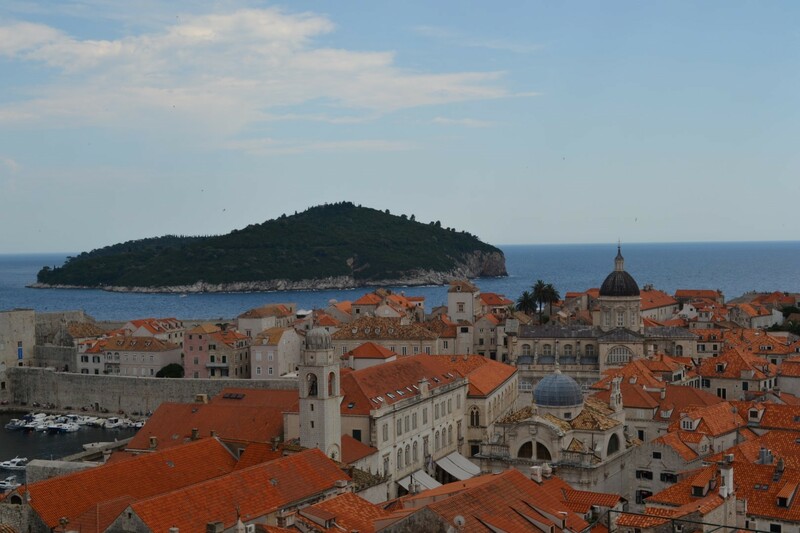 Could any list of Croatian cities to visit be complete without Dubrovnik? Many people who have visited have argued that it has been one of their favorite European cities and it is clear to see why. While it is one of Croatia’s main tourist destinations, it still has a small town charm that has you ignoring all the cruise goers. Take at least one full day, preferably two to really enjoy this medieval city. Just like any Croatian list isn’t complete without Dubrovnik, would any of my European itineraries be complete without my main travel man, Rick Steves? As always, I loved his self-guided walking tour through Dubrovnik. 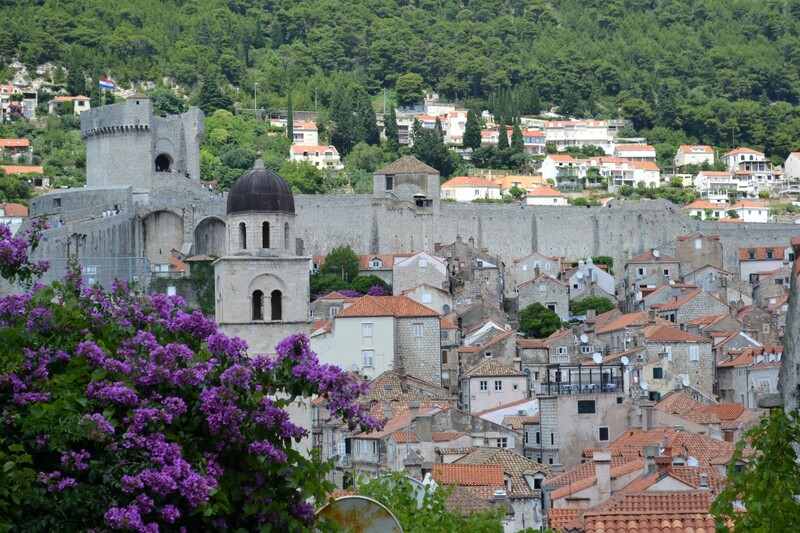 You’ll be hitting all the main sites (Old town, the town walls and more) and be getting great history at each stop. Do not skip walking the walls. Even if you just walk a section of them, you will get a better understanding of the amazing defensive role they played in protecting the city as well as get some amazing views of the city as well as Adriatic sea. If you aren’t in a rush, rent a kayak and paddle your way around the fortress or to the nearby islands for a picnic lunch. In the evening, do a wine tasting tour or watch the sunset on a rooftop restaurant overlooking the ocean. Or, you can channel your inner Game of Thrones nerd and join the tour that takes you to different filming sites. Dubrovnik is the perfect city to slow down in, grab a coffee and just people watch. 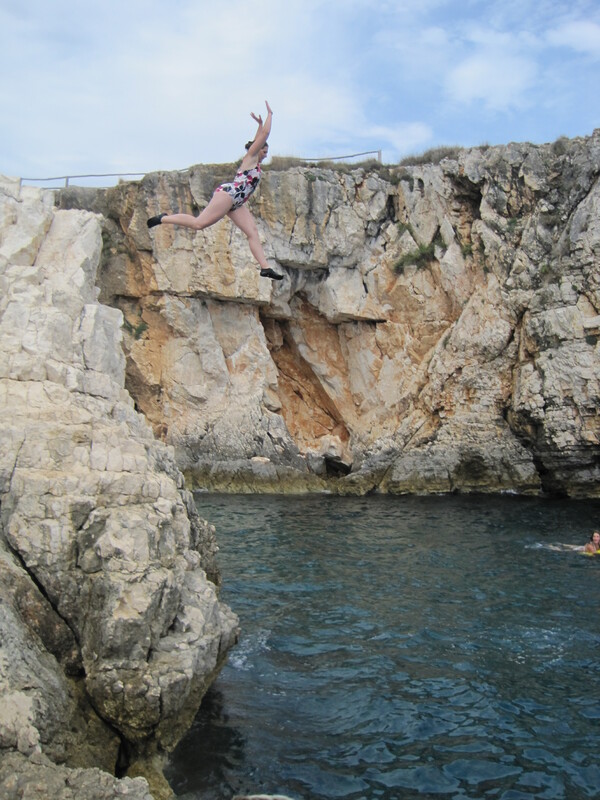 Note: in the summer, Dubrovnik can get wicked hot so prepare accordingly. If you’ve ever imagined living your life in Ferngully (no? That’s just me??) 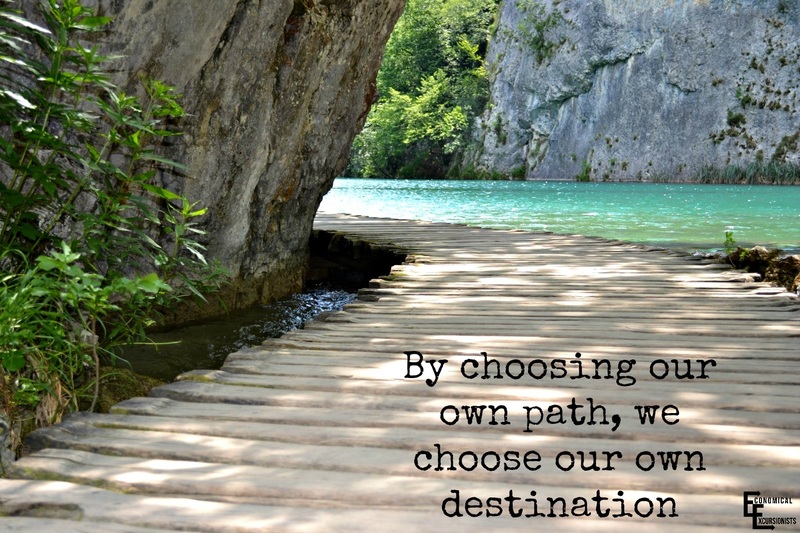 then you need to make your way to Plitvice National Park. I debated giving it only two stars because it can be quite hard and out of the way to get to and pretty much requires having a car. However, walking along winding wooden boardwalks, you will find lake after crystal clear lake that flows and cascades into another that makes it all worth it. One lake may be aqua green and the next a bright blue while the next you can see straight through to the bottom. Plan for at least a full day of getting to the park and walking around. Split is another city that if it is warm enough and you are a beach bum, you could spend as many days as you’d like there. Unfortunately for us, even in July, the water was still very cold and the beaches rocky and pebbly (take watershoes!) so we had to resort to just sitting in a lounge chair reading a book all day as opposed to laying out in the sun and swimming. Both are extremely hard chores to do, but I’m willing to do either for the sake of relaxation. If you are even semi-physically fit, I can’t recommend the short 15 minute climb up the Marjam hill overlooking all of Split. Grab a drink at the cafe at the top and soak in the ocean, cities and mountains all in one glorious view. You can either continue on to any of the many paths for an hour or longer hike, make your way to the small zoo or simply just return back to the old town. Note: I only rated Split as 2 stars because it is so far south and therefore takes a long time and possibly money to get to and I thought the beaches near Medulin and Pula were better, less crowded and had better swimming. However, as a town, Split was still great and definitely worth-while. We used Zagreb only as a stopover in the long 16 hour drive we had from Germany to Croatia. Zagreb is really just another big city without too much charisma and things to see. You can spend your time much more wisely in one of the many other beautiful, more characteristic towns in Croatia. Note: Wherever you decide to go in Croatia, I highly recommended reading up a little on the recent, war-torn past. 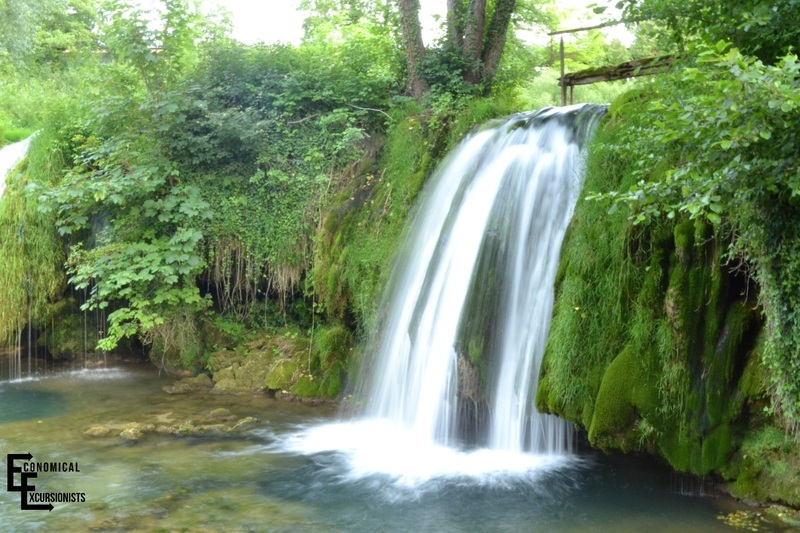 This very recent history gives you an insight into what the people of Croatia, nearby Serbia and Bosnia have been through and just may give you a more appreciative view during your trip. 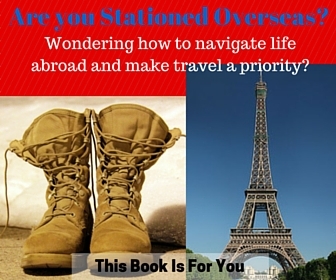 Rick Steves has an extensive history section of his book that gives an unbiased depiction of the issues that the region was and still is facing today. 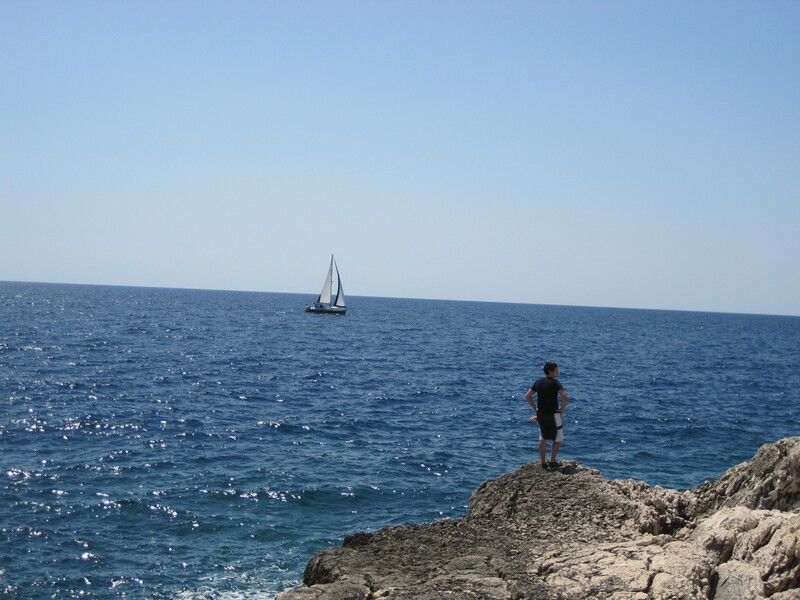 After two trips to Croatia, I could easily go back. 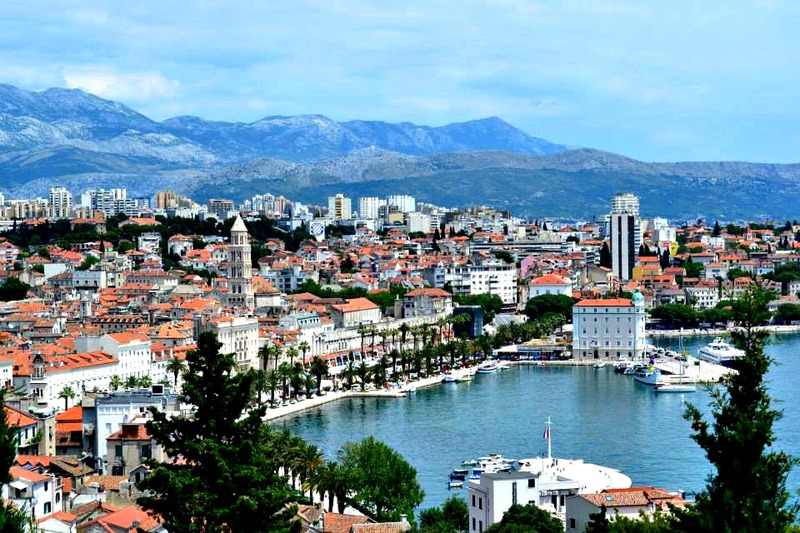 There are still cities that I would still like to see such as Zadar or Korcula. You know a location is special when you want to keep returning. 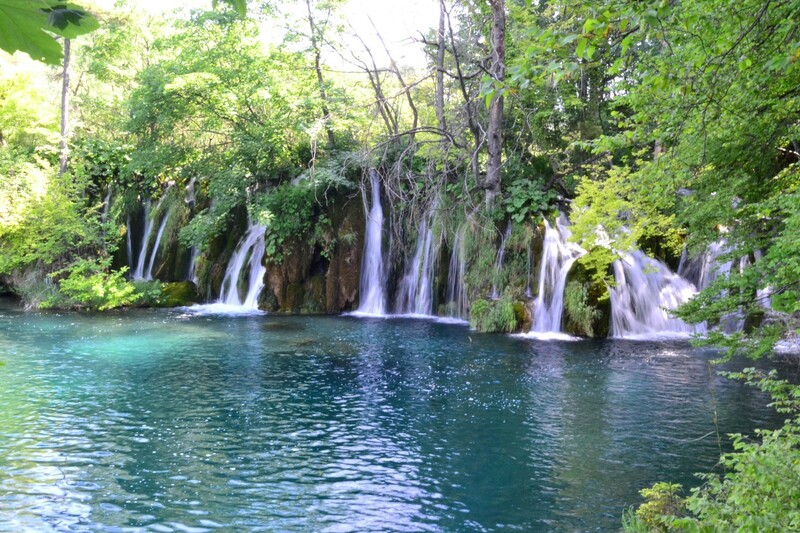 Where have you been in Croatia? What were your favorite moments soaking up the truly wonderful atmosphere of the country? I agree! It just has a different “feel” to it, for sure. I definitely want to hit some more of the islands as well. If you go, you’ll have to let me know how they were!